The Wisdom of Compassion offers rare insights into the Dalai Lama s life as he interacts with remarkable people from all walks of life. In these deeply engaging behind-the-scenes stories we see not only the Dalai Lama at his most human, and most humane, but also the way he approaches the world with humour and optimism. * through his encounters with illiterate grandmothers learning how to harness solar power for their communities, a beggar girl, and his soulmate, Archbishop Desmond Tutu, he has discovered how compassion can be translated into action. 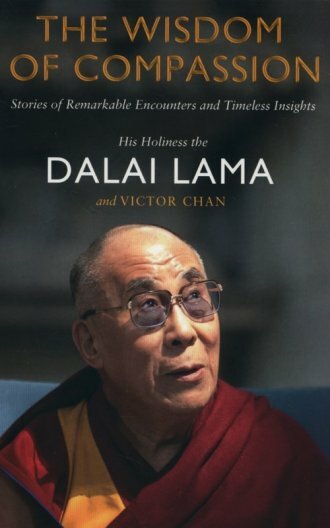 Enhanced by the Dalai Lama s seven decades of practice and illuminated through captivating anecdotes, The Wisdom of Compassion can help readers to lead more fulfilling lives. The Dalai Lama also shows how, when we open our hearts and minds to others, we are on the surest path to true happiness.